The four elements of nature are back on the display, a miraculous gaze that was once considered a rare occurrence in their local grounds. As one of the indispensable parts of the NWOBHM movement, running alongside acts similar to their musical liking and direction as SATAN / BLITZKRIEG / DIAMOND HEAD, Wolverhampton’s mysterious CLOVEN HOOF battled to get their name out there. Their early years made them quite a special act live, drawing their drama into new spectrums of stage acting and role playing personas. Their debut album, bearing the band’s name, was originally released in 1984, via the legendary Neat Records, an historic figure in the British Metal scene, responsible for plenty of classics that came to be. The album itself has been serving as a totem within the new followers of the old British Metal path, especially also since the band is still active, even if their thrilling stage act of the old days isn’t part of their live performance. Once again, Dissonance Productions took a good aim and rounded up this vintage relic, branding it with a reissue along with BBC Radio 1 versions of three of the band’s tunes. I have always perceived this album as one of the misty NWOBHM albums. Of course that there are songs that aren’t really related of the occult nation peak interest that took on plenty of prisoners, yet, it is hard to simply avoid the general darkness that engulfs the majority of the album. Furthermore, the crunchy sound throughout the album, especially the guitars, which has been quite typical back in those years, and even persisted in albums of various of Heavy or Thrash Metal bands, whether from the US or the UK, inflicts the listener’s soul with a measure of wickedness, a level of mysticism that conjures with evil, a sort that is highly pleasing and I might even add an addictive drug for the ear. Judging by the first half of the album, and also the closing track, CLOVEN HOOF didn’t come to please, there is a purpose to show their worth in creating epos and mythic imagery, portrayed by songs that are mere acts in a play. In a sense, it pretty much what their country comrades HELL have been doing nowadays. Well produced tunes as “Cloven Hoof“ and “Return of the Passover” are an outright development of the simple catchy hits that were created by the rather Popish NWOBHM acts al’a DEF LEPPARD and more into the dark arts. I agree that “The Gates of Gehenna” is considered a classic among classics of the age, yet I couldn’t help but notice the grandeur of the former two mentioned. “Crack the Whip” and “Laying Down the Law” are the essence of Heavy Metal, appeared to be influenced from early JUDAS PRIEST remarkable hits of the late 70s and early 80s, with a smite of Rock N’ Roll. A duo of heaviness, possibly the band’s toughest of that early era of theirs. 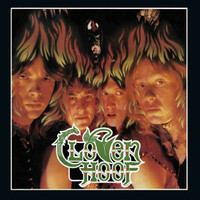 CLOVEN HOOF is an essential album, an outstanding release that took the genre forward and the British Metal scene in particular. Sure that they aren’t IRON MAIDEN or JUDAS PRIEST, yet in their own way, CLOVEN HOOF took point and represented their scene to the best of their abilities. The band reappeared in the early 00s and continued their heritage and there is a new album out. Be sure to add this gem to your collection.